In March, the Kitah Dalet class visited the Anne Frank Pen Pal Museum in Danville, Iowa. 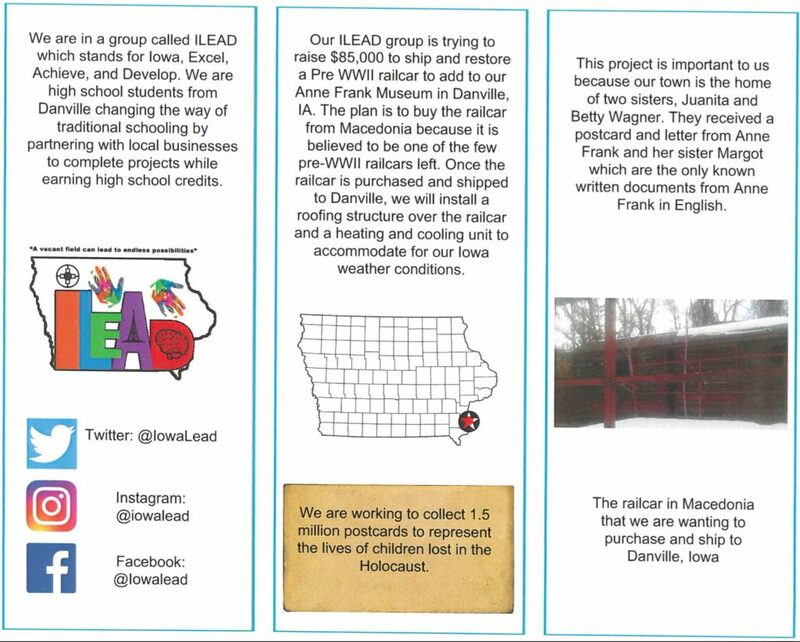 A student group at Danville High School called ILEAD (Iowa Excel, Achieve and Develop) is raising funds for the shipping/delivery of a pre WWII railroad car that they would like the Anne Frank Museum to incorporate into their exhibit. If you would like to send a donation, please send to Danville Station, P.O. ox 304, Danville, IA 52623. The students in ILEAD are also collecting 1.5 million postcards which represents a card for every child who perished in the Holocaust. If you would like to send a postcard, please send it to Danville High School, 419 South Main Street, Danville, IA 52623.